nurturing, respectful and supportive environment. 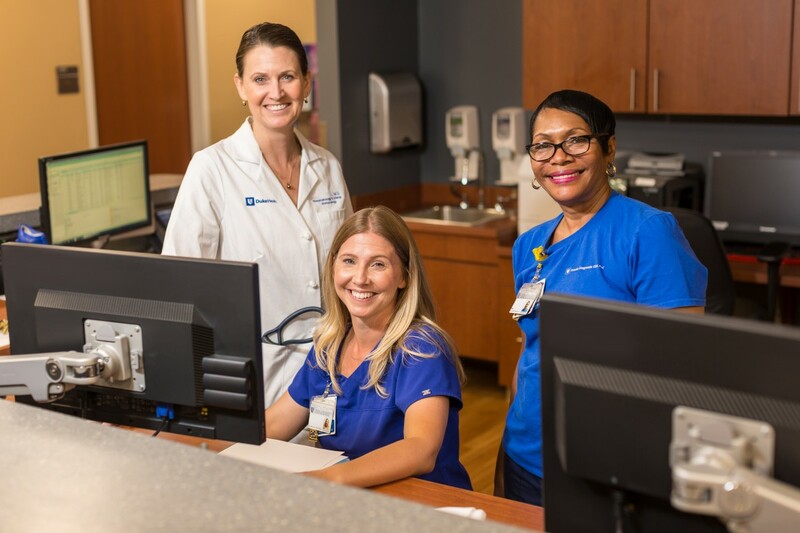 The Private Diagnostic Clinic, the physician practice of Duke Health, has earned formal recognition through The Joint Commission as a Primary Care Medical Home (PCMH). 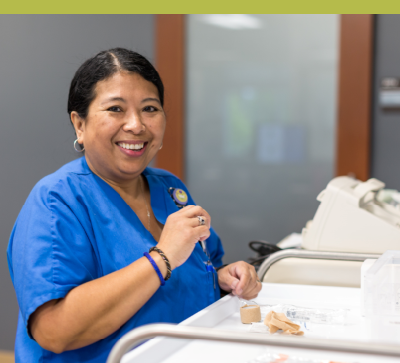 This accreditation reflects and reinforces our continued commitment to provide you with comprehensive, coordinated care in an unhurried, patient-focused manner. PCMH strengthens our promise to deliver the high quality, accessible, patient-centered care that you have come to expect from Duke Health. PCMH recognition is the seal of approval to prove it. To deliver care that is patient-centered. 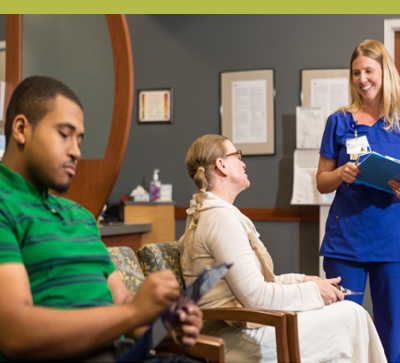 When you select us as your primary care home, you enter into a unique partnership dedicated to supporting your overall health and well-being. 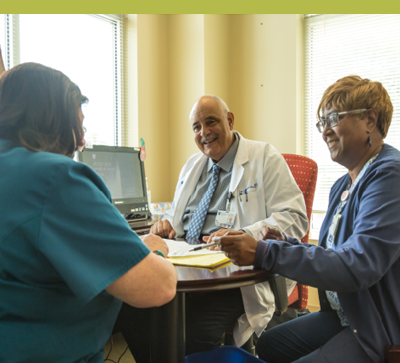 As your medical home, our providers oversee your physical and mental health needs, preventive care and wellness, acute care, and chronic care throughout all phases of your life. To coordinate your care across the Duke Health enterprise. Our staff can arrange care with specialists, hospital admissions, or home care and other support services. To enable 24/7 access to care. Duke MyChart allows you to access your health information online, anytime, anywhere. You can also schedule appointments, request prescriptions, view results, and communicate with your provider. Our care team is available by phone 24/7. We offer prompt appointments and shorter wait times for urgent needs as needed. To improve health through a systems-based approach. 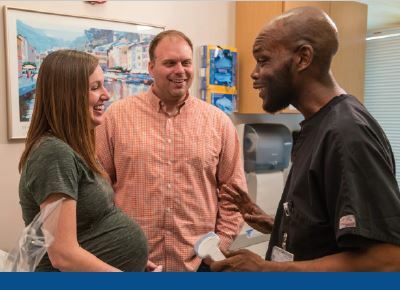 Our providers follow evidence-based care pathways, coupled with tools to assist with population health management, performance measurement and improvement. To actively participate in your medical care. You are the most important member of your care team. You must take an active part in your care. This means asking questions, sharing your feelings, maintaining a healthy lifestyle, and being honest about your medical history, symptoms and other important information. If there is any change in your health or well-being, let us know as soon as possible, so we can address it together. To adhere to your medication regimen. It is important that you take your medications as prescribed. Let us know of any negative side effects or questions about what medications you are taking and when you should take them. It is important for you to keep your scheduled appointments and let us know at least 24 hours in advance when you need to reschedule.